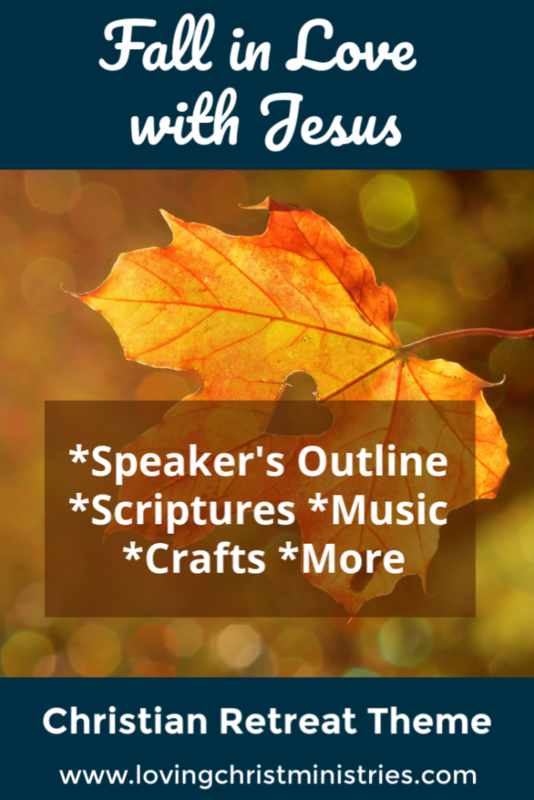 In the fall, as the leaves change to yellows, oranges, reds, and browns, we are reminded how Christ’s love for us changes us as well into beautiful, colorful creations in Him. That’s easy to forget when we get caught up in the busyness of life. With this retreat, we’ll take time to focus back on our relationship with the One who loves us best. Many of us already recognize God’s love and love Him, too. However, our busy schedules often take us away from focusing on that love we share, and we don’t live our lives in honor of our love. Just like in any relationship, love requires nurturing and attention. That’s why it’s important to re-focus our attention and make a commitment to Christ, letting Him know how much we love Him. 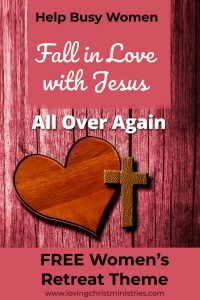 The “Fall” in Love with Jesus All Over Again Women’s Retreat Theme helps women recognize the love God has for her and shows her not only how to love Him deeply in return but also to allow that love to guide her day. 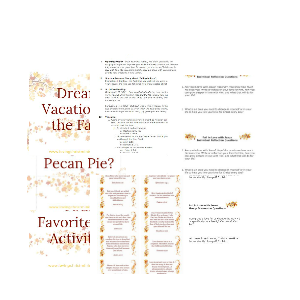 More scriptures for Fall in Love with Jesus can be found here.